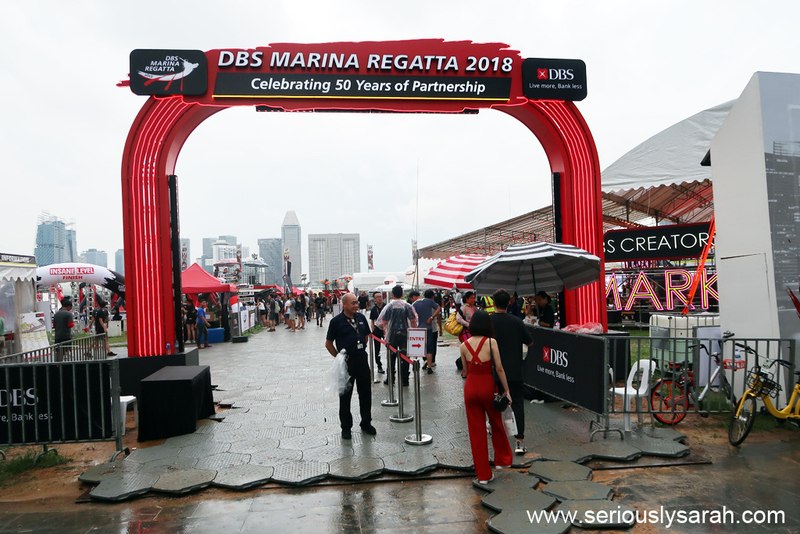 DBS Marina Regatta 2018 ! The day I went had ridiculous weather, sunny and then rain and back to sun again. 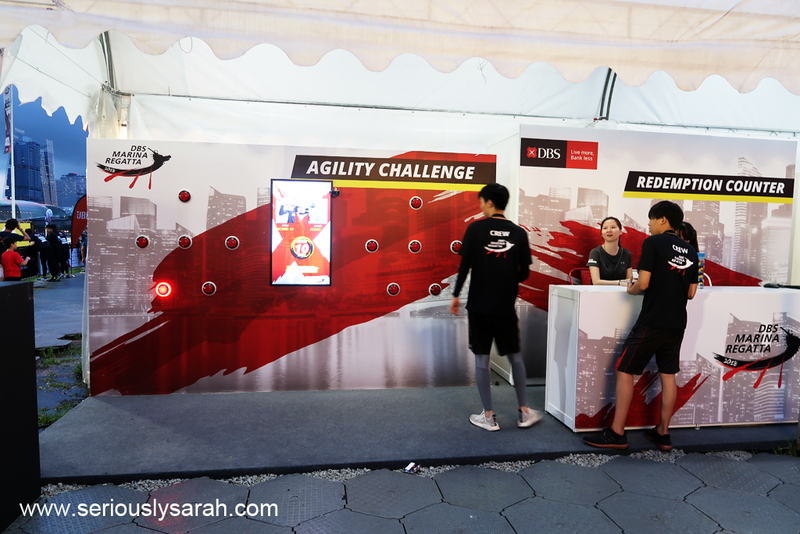 Anyway the DBS Marina Regatta is back! And it’s held at the Promontory from around 8am to 11pm, since you’re reading this the last weekend to catch it is this 2 and 3 June! Don’t carry too many things because there is a bag check at the entrance for the safety of all. After that, you’re through! It starts really early because you can join the workouts by the bay in the Play Dome, it’s near the left side of the stage if you are facing it. 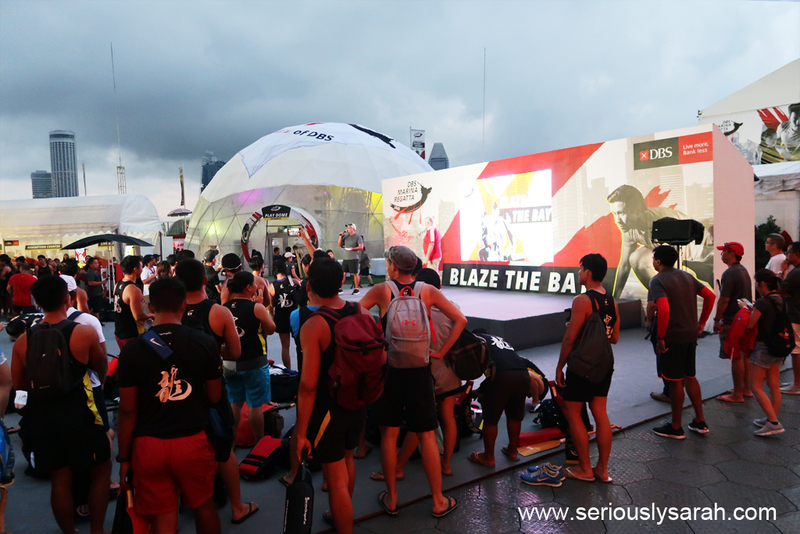 All you have to do is bring your own mat and wear your exercise stuff, more info on the various workout schedules is on the DBS Marina Regatta website. Meanwhile, do pick up the bay passport when you’re there. You have to complete various actions around the area and you might win a Porsche Design HUAWEI Mate 10, Scoot flight tickets to Berlin, Maldive and Kuching or any other prizes! But first, you got to complete the bay passport. Don’t be shy. As a person who has ‘won’ things at other events, the number 1 step to actually winning things is not to be shy and join in the festivities to be qualified in it. Oh and hey! If you’re going this weekend, it’s THE weekend to catch the Buskers by the Bay. From musicians to jugglers, pyro performers and magicians, you can catch them at these timings: 1-2 June: 5.30pm – 8.30pm and on 3 June: 3pm onwards. I think there’s some SpideyPool happening there or something. The Battle Bay Extreme is back too! Online registrations are closed but you can try signing up onsite. Since it is Ramadan aka the fasting month, I figured I shouldn’t sign up since it would be so tiring. I have tried it last year and it was fun so maybe I’ll try next year if they have it again and if it isn’t during Ramadan? The new format is that they have a land version now! 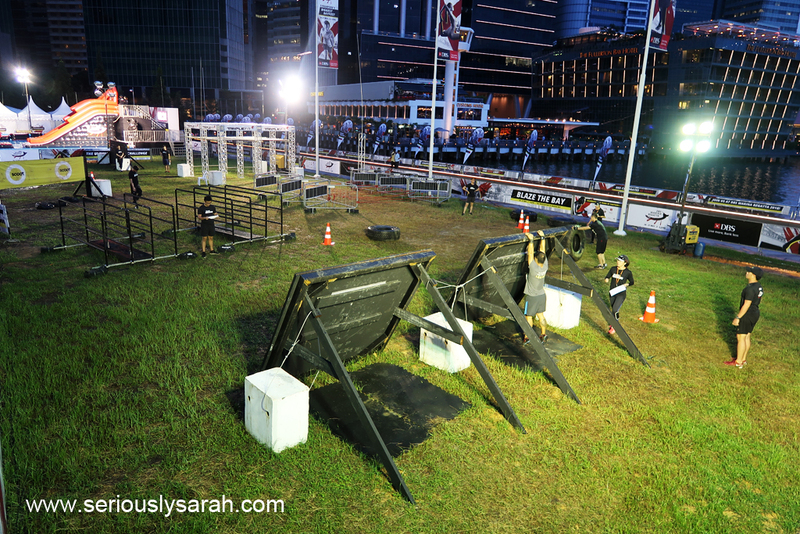 It reminds me a bit of the Spartan Race with the walls there. 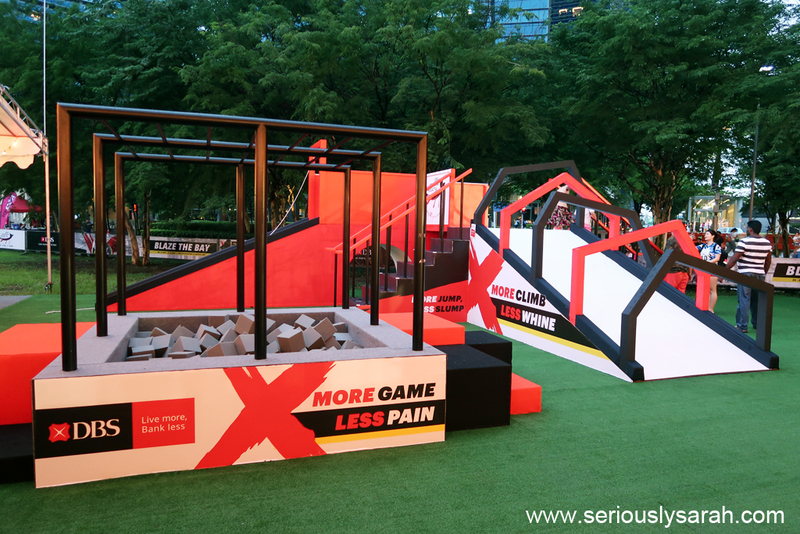 There’s a playground for kids too that you don’t have to sign up on the other side. It’s just for kids to try and play. With all these strenuous stuff happening, I saw there’s these special water coolers? I think they take the moisture in the air and somehow makes the water (????) I don’t know the science but what I know is that you should bring an empty bottle and you can refill it at these machines. 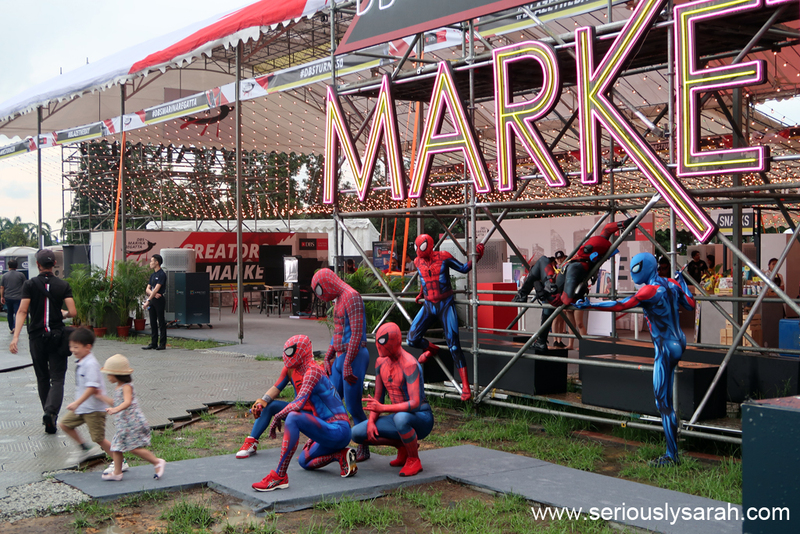 The creator’s market and workshops are happening in this place too so as usual, check the schedule! Hahah, there’s stuff for kids too. 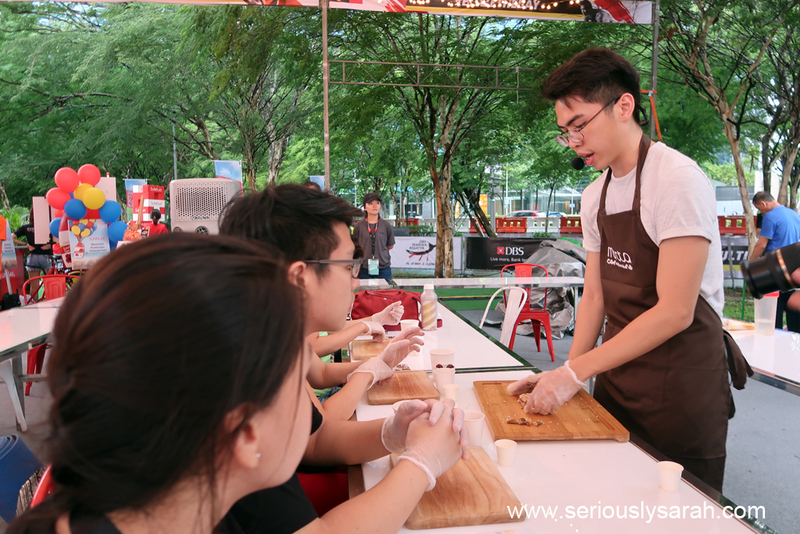 This one was a small workshop by Mahota on making granola bars. 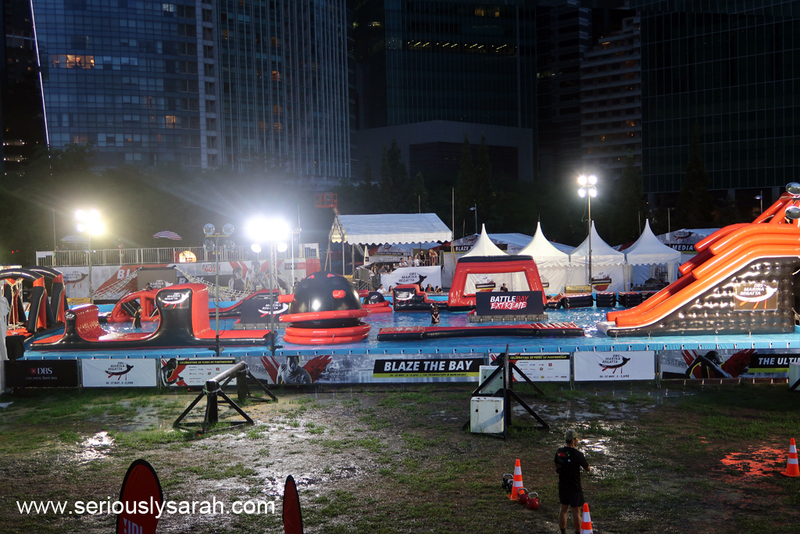 With all this you might think the DBS Marina Regatta is “small” BUT IT IS NOT. 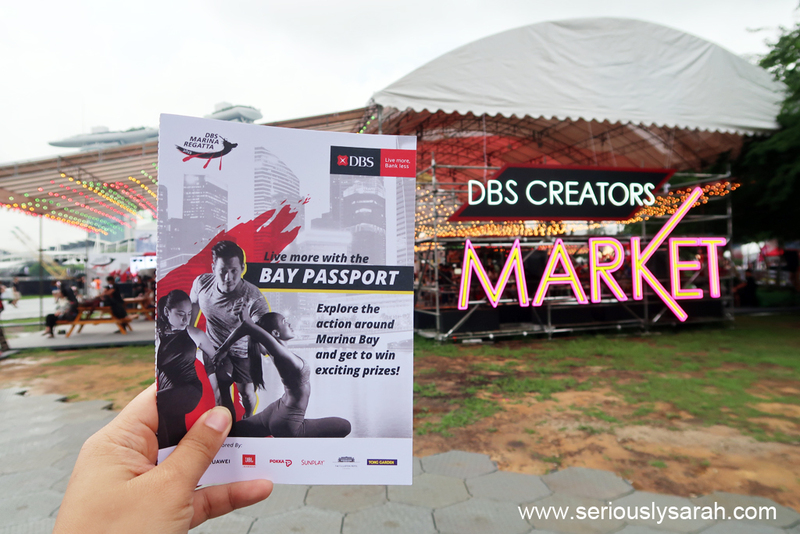 The social enterprises / Artbox is NOT in the same ‘area’, you need to travel outside and head on towards the Bayfront MRT side to visit it. I might come by again because the different shops are featured on different weekends! So remember! Get out of the Promontory and walk along and you’ll find ArtBox ! By the way, this is semi related to the whole buying stuff at Promontory and whatnot but I kept using DBS Paylah and that’s soooooooo easy to use. Just uh, don’t get too overboard when buying things since you just have to scan QR code to pay. 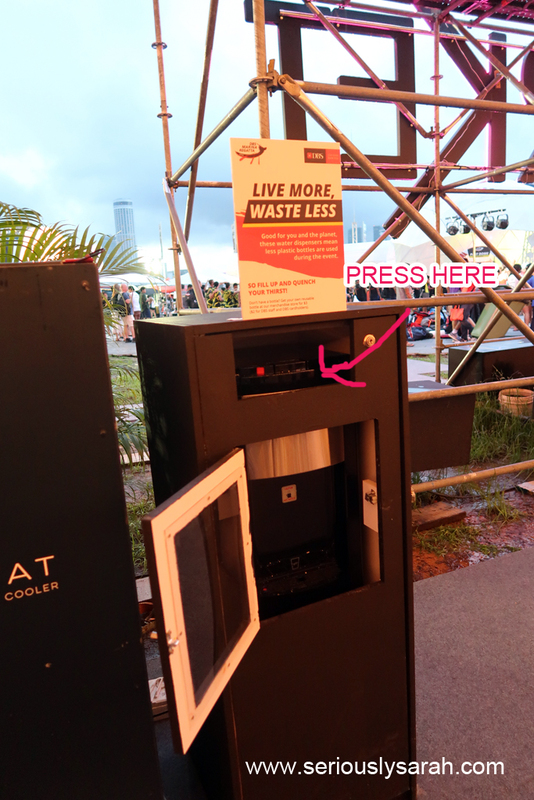 You’ll also have some ‘deals’ at Artbox when you use Paylah like free drinks or something so just look see. Hahah might as well post here right? Yeah, please use my code, you’ll get $5 for registering with my code if you’re a new user. This is the chill side. Why don’t you find out yourself how it is this coming weekend? Previous Previous post: Selamat Berpuasa! Next Next post: Geylang Hari Raya Bazaar 2018!